Hello my lovely, lovely bunch. So since Christmas I can probably count on my hand the amount of what we call "Good Days" I have had. These are the days when you may almost appear normal, for at least a few hours anyway, if you don't count the having to take medication at some point but I'm sure most people in the world have to do it at some point in the day so it doesn't count, what matters is that you appear almost normal for a good chunk of the day. The past week or so I would say I've been complaining non stop maybe not to you guys but definitely to my friends and certainly to my family, I've quite honestly been a bit miserable. It's not me and certainly never has been me, I'm getting really angry about the whole situation so much so that last week I took the step to see a councillor again which is on this Thursday coming it's a different one from last time and it will be a woman this time which I hope I'll be more comfortable with than the bloke I had last time. So rather than take my anger and bitterness out on my lovely family and friends I plan to talk it through with this councillor and fingers crossed it will do the trick or at least help somewhat. Today and yesterday actually I had some what I consider to be really good days. Yesterday I managed to have a bath without oxygen for 30 minutes which as of late has been unheard of so I can't tell you how pleased I was about that. 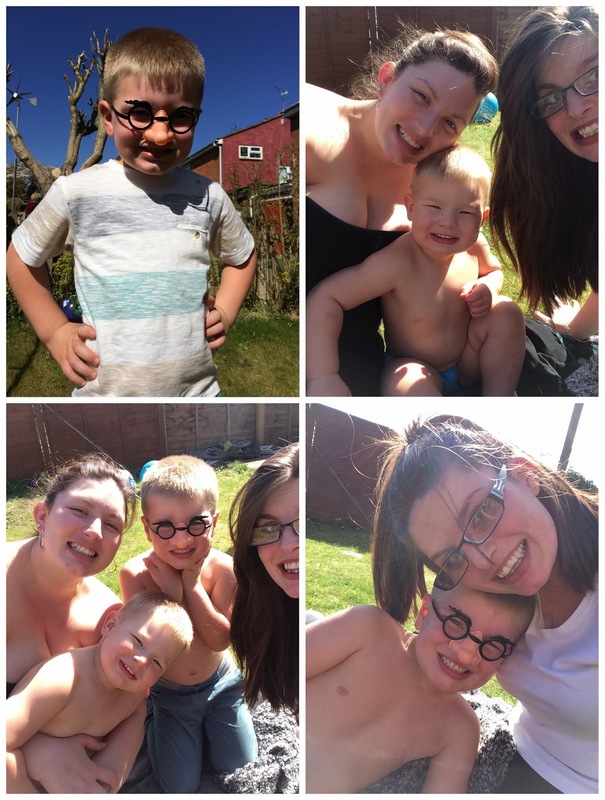 Then today I managed to spend the afternoon out in the garden with my nephews, niece and big sister and eventually the parents and managed 3 and half hours off of my oxygen and wait for it I had a bra on too! The last bit might seem a bit strange but bra's are seriously a no go for me at the moment and have been for at least the past 4/5months but I brought a few new ones last week and I can't wear them for the whole day but I can tolerate them for at least 4/5hours even on bad days which is beyond awesome! I just really wanted to acknowledge today because I feel like I've been non stop complaining, it may not appear so to you guys reading this but I feel like I've been very negative within me and I like to acknowledge the "good days" more so than the bad days and it makes me happy when I write about them which is always a good thing. So glad to hear you have had some positive moments in the past week. Also, I wish you all the best with your therapist. I have weekly therapy session and the change in my mental well being is amazing.